Try our Slider Fruit Cup for something special at your next BBQ or picnic. Slider is a traditional Devon farmhouse recipe and is described by Marco Pierre White as delicious. We steep wild hand-picked sloes in 6 O’clock Gin then, after 6 months or so, they are extracted and immersed in a still West country Cider for a further 6 months. 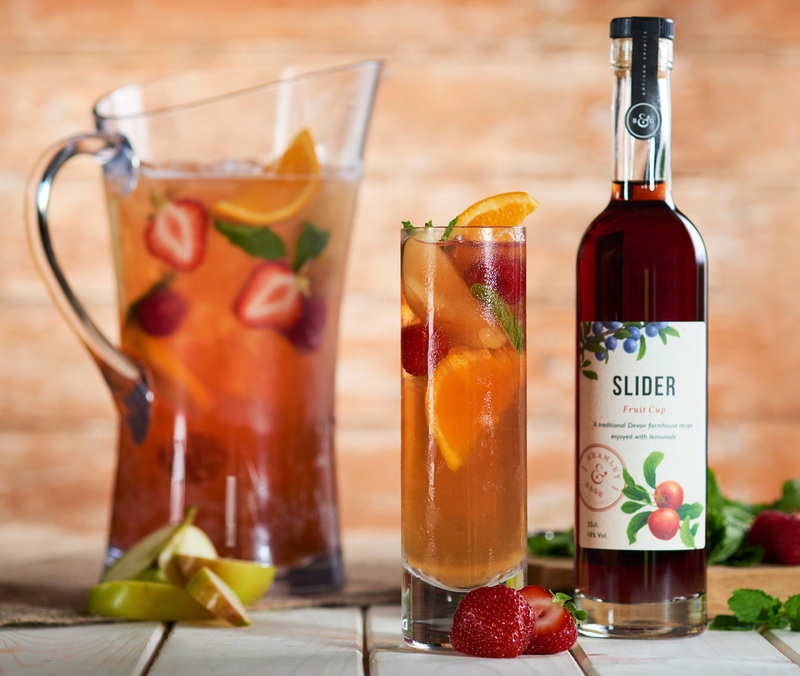 For the ultimate Summer Fruit Cup; pop some ice cubes and slices of apple, lemon and orange (or fruits of your choice) in a jug and fill it with Slider and lemonade. Garnish with mint and borage flowers if you’re feeling exotic. Experiment with your ratio but we recommend 1 part Slider to 3 parts lemonade. In winter why not try mulling it with little apple juice and a little sugar, nutmeg, cinnamon, and a slice of apple or pear for a warming winter noggin.